Kevin Durant: Yo. I need a wetsuit. 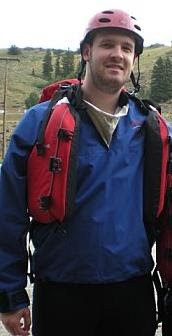 You look like a man who knows wetsuits. Trez Kerbz: I guess I do. You need a wetsuit? TK: I don't even know why you asked me to help you if you're not going to say more than one word at a time. You're not Don Draper, Kevin. TK: When did you get a jetski? TK: Alright. Well try this on. It's a medium. KD: Not funny man. This is way too big. TK: That's why I'm laughing. KD: Man, I don't know why I even asked you to help me. TK: Me neither. Maybe you need to try a ladies size. KD: I'm not going to wear a ladies wetsuit. I'm a man. TK: But look how wide that is around the thighs. 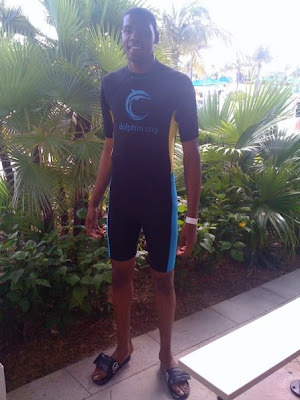 KD: GET ME A SMALL MAN'S WETSUIT! TK: Okay, okay. I can't believe we even have these here. No one has bought one this small since Gilbert Arenas was planning his birthday party. Try this on. TK: You don't really have a jetski do you? KD: Nah, man. I just like the look.